TONIGHT - NO HOLD BARRED BLUES! Amazing saxophonist PHILLIP SINGLETARY of the Suns of Beaches will be joining us tonight in his last opportunity to play with us before heading home. 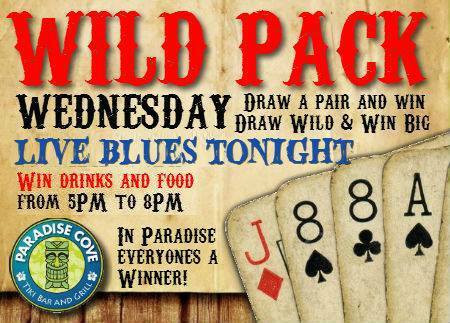 We are looking forward to lots of WILD PACK WEDNESDAY Winners and lots of good fun. Tonight is going to be a blast.